As we walk along our journey we meet people who leave footprints in our lives, the incredible woman I am about to introduce you to left hers on me when I was at Sixth Form in Pensitone, Yorkshire. My first impression of her was that she was artistic, soulful, unique and a free spirit. I was introduced to Natasha by a friend who referred to her as 'that lass from Africa!' - us Yorkshire folk sure are eloquent! 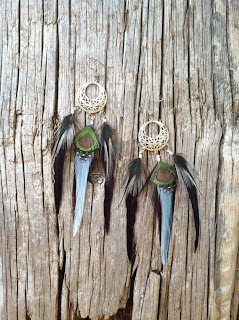 Years later I have watched her business developing through Facebook and fell in love with the stunning feather pieces, and I am certain you will too! I was born and raised on a farm in South Africa where alot of my influences come from, I spend the majority of my childhood travelling to far off places with my family and we spent a lot of time in rural Africa. When I was 13 I moved to the UK (yorkshire) with my family. That's where I started using my creative streak to make art/clothes/jewelry etc and got the chance to show them off! Since I was 16 I started travelling on my own and have pretty much been travelling ever since as and when I had enough money. I went to any place I found interesting and loved learning about new places. After a trip out to the USA to visit my parents three years ago I met a guy and two years later we are married, I now live in the beautiful rocky mountains of Colorado! Wild Ivy began as a hobby. I started an art gallery last summer for a seasonal project for my dads photography and started doing hair feather extensions in the gallery. 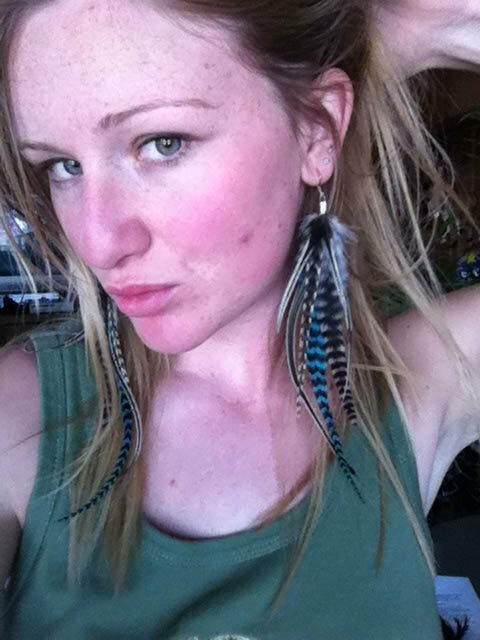 I had bits of feathers everywhere so I started making earrings and other jewelry out of them... as the summer progressed and people bought my stuff I got more into it and worked on perfecting my trade. I found that making jewelry is a form of meditation for me. Coming up with something beautiful and seeing it bring joy to people is all I can could ask for from my job!!! Im inspired by nature and all facets of it. But my parents and my husband inspired wild ivy from just a thought to a reality. OMG! Where can I get my hands on Wild Ivy!!! Wild Ivy creations are available to buy on Etsy - Wild Ivy Creations, Facebook Page. 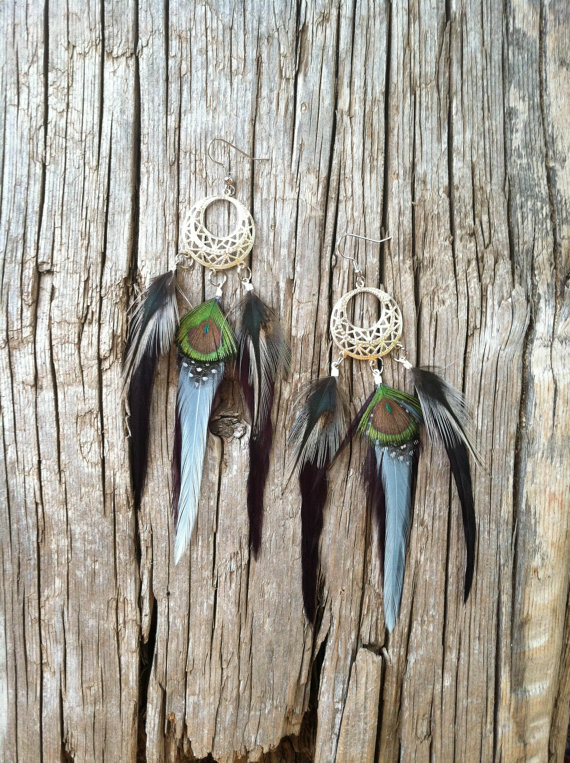 I also have my work available in a few shops and boutiques here in Colorado as well as one in Wisconsin. I will be doing 2 farmers markets here this summer and a few art shows. Etsy has all my stock available to buy, however I can also do custom orders and wholesale orders through Etsy. I hope you enjoyed discovering and learning about this incredibly talented young lady. Visit her Etsy shop and check out all the loveliness she has on offer, QUICK before they fly away! 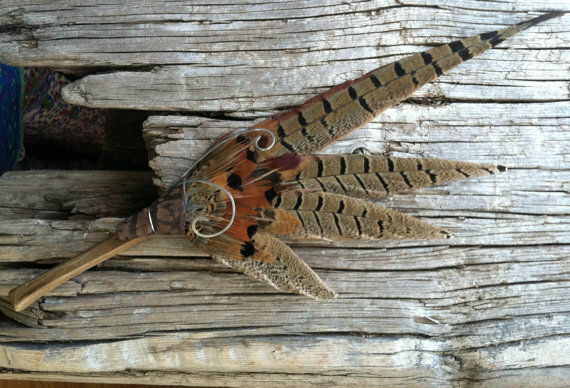 Also if you happen to find yourself in the Gunnison, Colorado area drop in and pick one up in person.